It has been estimated that 1.4 million cases of non-typhoidal salmonellosis occur annually within the United States. In fact, only around 40,000 cases are annually reported. Most cases are not investigated as to the strain of salmonella involved or the source of the infection. When investigations are undertaken, it is evident that the majority of cases of salmonellosis result from the consumption of raw or under-cooked eggs, incorrectly handled or prepared poultry, pork and meat, and infected milk. At the most, no more than three percent of salmonella cases are estimated to have resulted from exposure to reptiles. Infections from snakes are essentially unknown. Never-the-less, sensationalized reports often capture the attention of public health officials, members of the medical profession, legislators, and the media, adding unqualified strength to bills that could inevitably prohibit the possession and sale of reptiles within the U.S. Despite efforts made in the late 1990’s by the CDC, a number of state and local health departments, and pet industry advocates, aimed at educating the general public to the risks of reptile-related salmonellosis in humans, the number of reported cases did not reduce significantly. This raises the possibility that animal sources for salmonella may be less common that estimated. However, USARK supports additional efforts to disseminate information essential for the reduction of zoonotic salmonella infections. Not only do reptiles represent a potential source for salmonella exposure, so do dogs, cats, tropical fish, ferrets, mice, goats, birds, horses, and other animals. The possibility of infection can be dramatically reduced by following simple hygiene practices while handling and cleaning all animals and their enclosures. USARK believes it is critical that accurate education be provided not only to new reptile keepers, but also to veterinarians, herpetoculturists, hobbyists, and the pet trade. 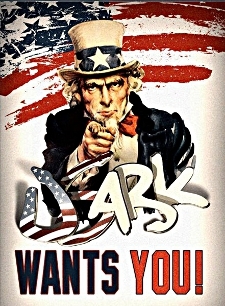 USARK can act as a portal for the dissemination of such vital information to the Reptile Industry. Working closely with industry representatives and the herpetological community, we support efforts to reduce the risk of animal-related salmonellosis. Support - Efforts to educate the public and endorse simple hygiene protocols to reduce the already minimal number of reptile-related salmonellosis cases. Oppose - Sensational anecdotal accounts depicting reptiles as a serious salmonella risk.